Children love hearing funny books read aloud and returning to them again and again. Stories in which absurd things happen, stories which use funny words, stories in which adults and children’s roles are reversed, stories which reflect and exaggerate everyday situations, stories in which the illustrations add to the humour. Here is our selection of funny picture books compiled with the help of our patron Marilyn Brocklehurst. We hope you and your child enjoy them. 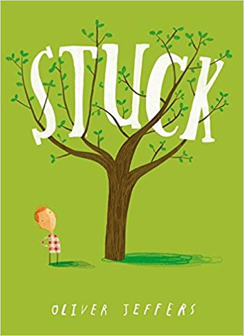 A poem which tells a funny story and evokes a whole raft of childhood feelings including overwhelming temptation and greediness, excitement, contentment, guilt, fear, worry and regret. The illustrations add to the humour of the situation and emphasise the dread of discovery. 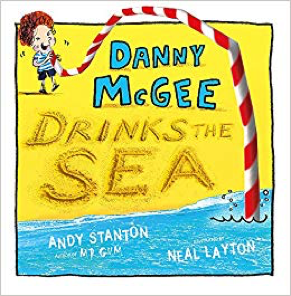 Danny McGee and his sister Frannie go to the seaside. Danny bets his sister he can drink the sea and he DOES – but that is just the beginning! He goes onto swallow all sorts of things from a tree to America land of the free. Will Danny ever stop swallowing things? He has even swallowed the book’s author Andy Stanton who finishes the book from inside Danny. Turns out the only thing that stops Danny is when his sister Frannie swallows him! The rhyming and rhythmic text skips along in this anarchic and absurd tale complemented perfectly by the exuberant illustrations which add to the humour. One day Duncan goes to take out his crayons and finds a stack of letters of complaint. Each of these is from one of his crayons. Some crayons such as red, blue (Duncan’s favourite) and grey used to colour in big animals, complain of being overused, while pink feels underused, white can’t be seen and black is only used for outlines. Beige is having an identity crisis and purple wants Duncan to be tidier about his colouring. 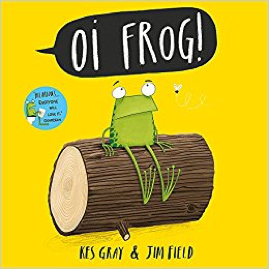 A witty set of letters with Jeffers excellent childlike drawings to complement each double page spread make this book great fun to read together and discuss. 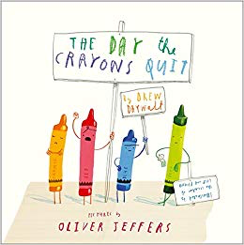 It prompts Duncan to be inventive in his use of colour to placate his disgruntled crayons and may inspire young readers to be creative with colour as well. 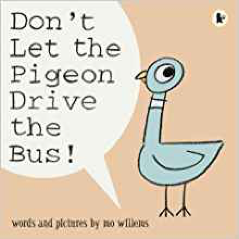 Don’t Let the Pigeon Drive the Bus! from Bernie VanTilburg on Vimeo. Bear desperately wants to go to sleep, but Duck (his neighbour) desperately wants company. 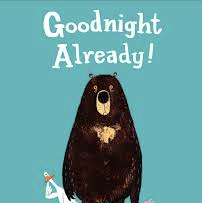 Goodnight Already is very amusing story with two appealing characters, poor sleep deprived Bear and irrepressibly attention seeking Duck who won’t give up in his quest for company.When children are familiar with the story they can join in; each of you could take turns being Duck or Bear and have fun repeating some of their conversations or acting out the story. This is a story about a little girl who loves dressing up. She is delighted to receive a penguin suit from her uncle and wants to wear it all the time. Not content with dressing as a penguin she decides she has actually BECOME a penguin, behaving like one as much as possible, from her method of getting downstairs (not recommended) to what she eats; though trying to catch fish fingers in her mouth proves a bit of a challenge. 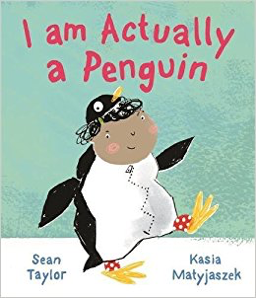 She is allowed to wear her penguin suit to her auntie’s wedding, but when it comes to going to school her parents put their foot down, no penguin suit, anyway it needs washing, so she takes it off and decides to become…. an alligator instead! A funny story about delight in dressing up and getting really engrossed in imaginative play. Cat’s in charge and giving out orders with a very clear idea of where each animal should sit. Frogs sit on logs, cats sit on mats and hares sit on chairs. The rhyming pattern is clear and it’s fun to predict where other animals might have to sit, some comfortably like goats on coats and some precariously like moles on poles. But when frog finds out where dog sits he is not very happy! 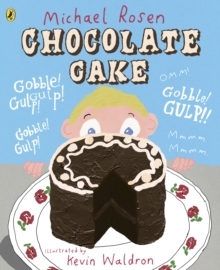 A funny tongue twister of a book with brilliantly funny illustrations. First in this popular and brilliantly funny series see also Oi Dog! (Where frog takes control of the rules) Oi Cat! and Oi Duck Billed Platypus! On board SS Cliff three lemmings overhear Foxy reading from his book about lemmings, when it gets to the part about jumping off cliffs the word ‘jump’ triggers an immediate response and they all jump off with a huge cry of ‘Geronimo!’ Foxy tries to tell them they’ve got that wrong – lemmings don’t jump off cliffs and get them to read the book – but every time they hear the word jump off they go again! 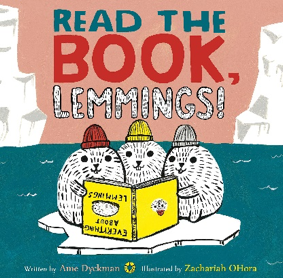 The repetition of the same response from the three lemmings (named Jumper, Me Too and Ditto) by Foxy and the cry ‘Geronomio’ make this a really funny read aloud and great fun for children to join in with. Turns out the lemmings can’t read the book but when they do learn to read and also learn the errors of their ways they decide to take up flying instead! Hilarious. See also the brilliant Wolfie the Bunny by the same team. This is a funny tale perfectly told and illustrated. It was a very busy day at the ministry for silly animal names with a long queue of animals desperate to change their names. And this is not surprising with names such as ‘Blue Footed Booby’ and ‘Tasselled Wobbegong’. When each animal reaches the counter they meet one of the staff, a team of world weary secretary birds, they are asked to state their name which causes riotous laughter from the animals waiting behind them. The biggest laugh goes to the ‘Aha ha’ wasp. Amazingly all these incredibly named animals actually exist and there is information about each of them at the back of the book. 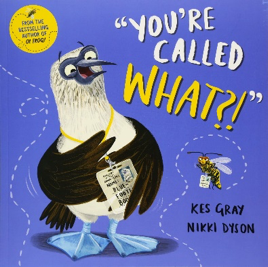 A hilarious story with brilliant illustrations of the disgruntled animals, great fun to read aloud.